Näin eilen Keskustassa vaateliikeen, jonka jokaisessa ikkunassa luki “turkisviikot” isoin tikkukirjaimin. On varmasti ainoastaan onnistuneen propagandan ansiota, että täysin vailla mitään erityistä tunnekuohuntaa mietin miltäköhän näyttäisi, jos ikkunoissa lukisi “murhaviikot”. Markosamuli huomasi, että Veikkaus värittää hyvin saittinsa 10-vuotista taivalta kertomalla mitä muuta netissä on sinä vuonna tapahtunut. Loistava tapa antaa kontekstia kehitykselle. Olemme käyttäneet Campfirea nyt kuukauden päivät, ja välillä meidän keskustelu muistuttaa pelottavasti 37signalsin porukan postauksia. Safari’s such a nice little browser. I just noticed today how it handles the titles of tabs: when you have several tabs open that begin with the same words, it drops them and starts from the distinct part. If only Gmail and Bloglines worked in it. Oh, and if only it could remember my open tabs! I’d like Bloglines to allow me to set up some default settings for new subscriptions. I don’t use Bloglines from my mobile phone, but it’s not infeasible to imagine that I might. For this reason, I try to keep my “mobile subscriptions” list short and clean. And that means every subscription I make, I have to uncheck the “add to my mobile” checkbox. I’ve been talking a lot about settings and default values with Markosamuli recently. One way of enabling “pseudo-settings” for specific kinds of fields is to default to the value that was used last time (or used most often, or some other criteria). This allows the system to assign a probable default value for non-critical fields — without making the user decide or explicitly set (and have the system keep track of) a particular setting. 37signals now offers three ways to read Getting Real: on the web, as a PDF, and as a printed-on-demand paperback. I like how the free version’s icon is blurry and flat, a subtle cue that this is the economy grade option. Sinä olit maailman ensimmäisiä Igglon käyttäjiä. Kiitos luottamuksesta. Oman vuokra-asunnonetsintäkokemuksen perusteella väitän, että asunnonvälityspalveuilla on vähintäänkin paljon mahdollisuuksia kehittyä. Igglon kaltainen rohkea konsepti saa minulta täyden tuen. Ja on jotenkin sopivaa, että Igglo pääomistajiin kuuluu mainostoimisto Taivas. Nokian musiikki kolme kertaa huonolaatuisempaa? Nokia mainostaa 5500 “Sport” -puhelintaan väiteellä, että puhelimeen mahtuu 750 biisiä. Väite kvalifioidaan siten, että tämä määrä edellyttää 1 gigatavun muistikortin hankkimista. On kuitenkin vähintääkin harhaanjohtavaa, miten “biisien” tiedostokokoja on laskettu. Puhelimessa on 8 megatavua muistia, ja sen mukana tulee 64 megan muistikortti. Käytännössä siis esimerkin kaikki 750 biisiä ovat gigatavun muistikortilla. Samaa laskukaavaa käyttäen Nokian myymään 80 gigan ipodiin mahtuisi 60 000 biisiä, kolme kertaa enemmän kuin Applen myymään. Internet Explorer 6 has the most annoying bug with transparent PNGs: some (or most, it seems like) dimensions cause IE6 to break a bunch of links within the container of the transparent background image. The links are still visible, but they can’t be clicked, and they don’t react to the cursor hovering over them. The fix is to change the dimensions of the offending PNG (though it’s not really the PNG that’s being offensive, it’s IE). Your mileage may vary, and unfortunately, tests seem to indicate that no single dimension combination seems to work reliably. Note that the alpha transparency in IE is created via a proprietary filter CSS attribute. Note also that the source image must be located in the same directory as the web page calling it. I have no idea why. One fix as demonstrated by Satzansatz. A guide to CSS support in email. A useful breakdown of how various desktop and web email clients handle CSS. I’ve had to design and troubleshoot a few newsletters in my time, and unfortunately it’s not only the markup that causes problems. The winners of Textplates’s Textpattern template competition have been announced. There’s some nice ones in there. My favorites are Serene and White and Wild. An entertaining juggling clip—and only three balls, no less! I’ve never seen a juggling performance that’s been so tightly and well synchronized to music. (Generally, I avoid blogging video clips, but this one made me think of Elexa and all her juggling nerd friends, so I couldn’t resist.) Via Reddit. Wikis tend to fall into the same layout/design pit as many open source CMS systems: they all look drab and alike. 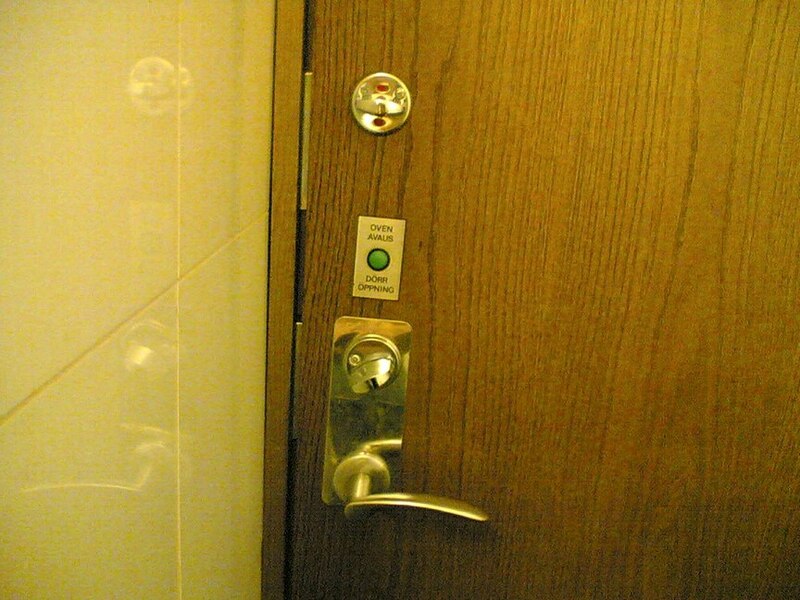 Usability-wise this could, of course, be considered somewhat beneficial. However, the feature-driven functionality of these prototypical designs aren’t actually all that easy or obvious in the first place, so this doesn’t come near compensating their drawbacks. This is why I was quite impressed with what Wetpaint has done with their wiki templates. What Roosa wants for her birthday. That’s a radiator. Only 3950,00 euros. Passclicks is an interesting alternative to traditional passwords. Passclicks are made up of a set number spots (“clicks”) in an image. The rationale is that people are better at remembering visual cues than random strings of letters and numbers. I do wonder though, how “strong” passclicks can be considered? Taking into account the fact that most pictures will have certain focal points that most people will click, it might, statistically speaking, be quite weak. This typing game is fun. It reminds me of a ten finger typing trainer program — but unlike those, this one doesn’t care if you hit the wrong characters (and you never have to use the backspace to correct anything). Actually, the game could actually do harm to my typing skills. I wonder how quickly one would have to hit random keys for it to be a viable strategy in the game. I’ve had Edd Dumbill’s article on WHATWG open in my (saved by the grace Firefox’s Sessionsaver add-on) browser for a long time, but today I finally got around to reading it (as trivial as this may sound, the primary reason has probably been how intimidating and ugly IBM’s developerWorks is, followed by the repellentness of the WHATWG acronym). I’m glad I finally did take a closer look at the article. Tom uses his scientological powers for evil. Lis�isin t�h�n listaan viel� v�rikoodatut v�lilehti-ikonit ja Web Developerin kaveriksi Firebugin. Open Tuesday will have its inaugural event February 7. Open Tuesday, similar, if not modeled directly after MobileMonday, is a free event for the open source community. The founders reportedly include people not only from software development but also financing. Digitoday’s article (in Finnish). As it was not my fortune to miss the Chuck Norris fact-craze currently on the rounds, I was able to understand, and, yes, smile at, this list of Chuck Norris Web 2.0 facts. Among the entries for Colly Logic’s Simplified Standards logo competition, one designer stands out. Not only the most prolific of the entrants, this designer is able to capture the essence of so many logos out there in the world today. This designer’s name is Mahesh Babu, entries 35–42. En juuri lue Hesaria verkosta, joten ulkoasu-uudistus j�i huomaamatta. Onneksi MS noteerasi sen. Uusi ilme on mukava, joskin h�mm�stytt�v�n New York Timesin n�k�inen. Vanha oli hirvitt�v�. Kummallinen, tuo tyhj� aukko HS.fi-logon ja asiakaspalvelulaatikon v�lill�. Ja MS, viittasinpa hyvinkin Herkon Westwood Deadwood-merkint��n. Odotan innolla sarjan alkamista t�n��n. Haluatko tienata blogilla rahaa? Osallistu brunssiin, niin kuulet miten! Hmm. Procom j�rjest�� maksullisen Asiaa blogeista -brunssin, jossa selvitet��n mik� blogi on ja miten sit� voidaan hy�dynt��. Puhujina mm. Sami K�ykk�, Matti Lintulahti ja Alex Nieminen (tietysti). Well, Christmas already went, but my birthday’s coming up. How about giving me the Freight family? It’s beautiful, has 100 fonts, and it costs only $895! Designed by Joshua Darden, Freight was one of Typographica’s favorite fonts of 2005.